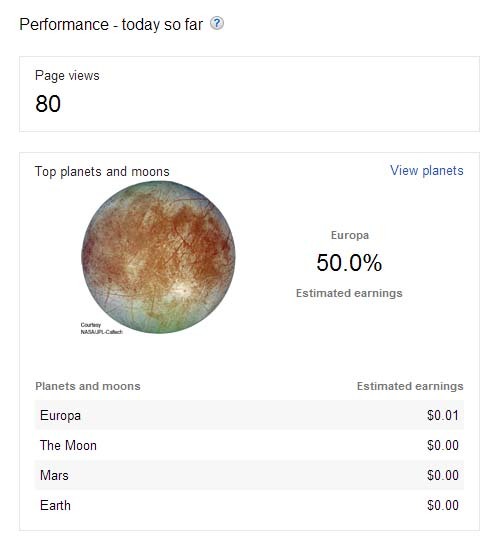 So it seems Google Adsense has expanded and began to monitors page views from distant planets and their satellites (moons). I never thought it would expand this big. Too bad I haven’t anticipated this. I should have planned ahead. What a fool I was. Think of the opportunities. I better revise my strategies. April Fools! We kind of knew it all along. The martian are watching! 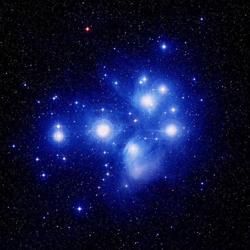 Also, I bet Ganymede —the biggest moon on the solar system— is where high CPCs would come from. This might be an April Fool’s joke but is something like this really too farfetched? You know, maybe a few years from now… Okay, I need some serious sleep now. LOL LOL LOL! You got me real good. I thought I was in the twilight zone or something for a good 10 minutes! AWESOME!!! THANKS!! !